New findings from a health economics and outcomes research (HEOR) analysis demonstrated that liraglutide 1.2mg (Victoza) is cost-effective for the treatment of type 2 diabetes in the UK market when compared to lixisenatide and is cost-saving compared to exenatide. The findings were presented at the 18th Annual European Congress of the International Society for Pharmacoeconomics and Outcomes Research (ISPOR) in Milan, Italy. The analysis assessed the cost-effectiveness of liraglutide (1.2 mg), exenatide (10 μg BID) and lixisenatide (20 μg), prescribed for the treatment of type 2 diabetes in the UK. Liraglutide (1.2 mg) was found to be cost-effective versus lixisenatide, with an incremental cost-effectiveness ratio (ICER) of £7,367 perquality-adjusted life year (QALY) gained. QALY is a measure of the state of health of a person or group in which the benefits, in terms of length of life, are adjusted to reflect the quality of life. One QALY is equal to one year of life in perfect health. Additionally, Liraglutide (1.2mg) was associated with cost-savings of £87 versus exenatide 10 μg BID. “As the population with type 2 diabetes increases, it is vital that cost-effective medications such as liraglutide are available to help improve patients' quality of life and prevent complications,” said Dr Klaus Henning Jensen, Head of Clinical, Medical and regulatory at Novo Nordisk, UK & Ireland. The analysis was based on changes seen in blood glucose level (HbA1c), blood pressure and body mass index on initiation of each treatment, taken from a network meta-analysis of 13 randomised controlled trials. 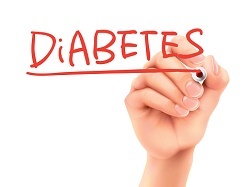 These trials evaluated the efficacy and safety of GLP-1 receptor agonists for the treatment of people with type 2 diabetes uncontrolled on oral antidiabetic drugs. Liraglutide is a human glucagon-like peptide-1 (GLP-1) analogue with an amino acid sequence 97% similar to endogenous human GLP-1. Like natural GLP-1, liraglutide works by stimulating the beta-cells to release insulin and suppressing glucagon secretion from the alpha cells only when blood sugar levels are high. Due to this glucosedependent mechanism of action, liraglutide is associated with a low rate of hypoglycaemia. In addition, liraglutide reduces body weight and body fat mass through mechanisms involving reduced appetite and lowered energy intake. Liraglutide was launched in the EU in 2009 and is commercially available in more than 80 countries with more than 3 million patient years of use in people with type 2 diabetes globally. In Europe, liraglutide is indicated for treatment of adults with type 2 diabetes to achieve glycaemic control in combination with oral glucose-lowering medicinal products and/or basal insulin when these, together with diet and exercise, do not provide adequate glycaemic control.